In terms of films I was watching for the first time, Another Year is probably my pick of the week. It's a low-key drama from Mike Leigh (a director who's been responsible for a number of films I've enjoyed, including Naked, Happy Go Lucky and Vera Drake). A simple story of the year in the life of a happily married middle aged couple and their rather less than content friends, the film feels incredibly true to life and contains a great script and strong performances from the likes of Jim Broadbent, Ruth Sheen (and in particular) Lesley Manville. Also very good were a pair of vintage films: Mr Smith Goes to Washington and Laura. 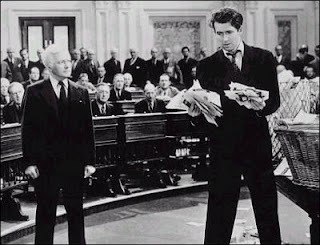 The former is Frank Capra's classic tale of a smalltown idealist betrayed by political corruption in the American Senate, a film which is notable for inspiring a Golden Age Simpsons episode. The actual movie didn't have any corrupt lobbyists attempting to drill for oil in Teddy Roosevelt's head, but it's still pretty damn entertaining. The latter picture was lent to me by my Grandma and concerns the investigation into the murder of a beautiful femme fatale played by Gene Tierney. I didn't find it to be quite up to the standards of my favourite film noirs (such as Double Indemnity and The Big Sleep), but it's nevertheless well worth a watch. There were two other brilliant movies which I caught for the third time this week: Almost Famous and Boogie Nights. The themes of both films share a strong connection; both are set in the '70s and concern a young man running away from his parents to join a surrogate family. 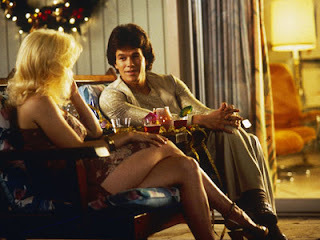 In Almost Famous, this family is made up of a rock band (and its associated hangers on) - in Boogie Nights, the family unit is made up of the cast and crew of adult movies. Anyway, both are great, great films with excellent soundtracks. Paul Thomas Anderson (who directed Boogie Nights, as well as Magnolia, Punch Drunk Love and There Will Be Blood) is returning later on this summer with his first film for five years. It's called The Master, and explores the shadowy world of Scientology. I'll be waiting on tenterhooks until the movie's UK release date. I didn't see any movies this week which I would regard as 'bad', but there were a few minor disappointments. The Page Turner was a French cuckoo-in-the-nest thriller which built up the tension very effectively, but was rather marred by a dull, anti climatic ending. Goon was a surprisingly sweet comedy about an ice hockey enforcer in the Canadian minor leagues, but I couldn't stand the idiotic, foul mouthed supporting character played by Jay Baruchel. My Week With Marilyn was a bit of a non event as a movie, but was brought up to 'slightly above par' by a great lead performance from Michelle Williams. 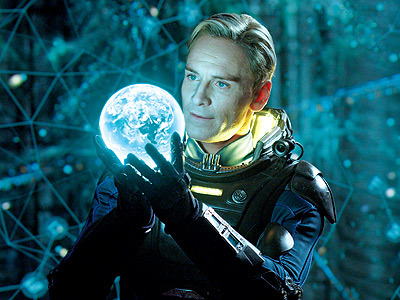 That just leaves me with Prometheus, Ridley Scott's prequel to Alien. It was a film which left me with rather conflicting emotions. On the one hand, it's a really ambitious, intelligent picture which at least attempts to do something interesting with its big budget (unlike a large number of other recent major Hollywood productions). I was impressed with some of the acting - Michael Fassbender, as David, the ship's android, and Noomi Rapace, the closest thing we have to Ripley in this film, Dr Elizabeth Shaw were both very good. On the other hand, the film was full of plot holes, unresolved plot threads and things that just didn't make much sense. These included (potential spoilers ahead) - why weren't the crew informed of the nature of their mission before they went aboard? Why would the ship's biologist attempt to pet a dangerous looking space snake? How exactly did the black goo create a super size facehugger? I feel like I should try to watch the film for a second time so that I can resolve my feelings about it, but until that point I'll have to give it the middling grade of 7/10. "Waiter: Would you like to hear today's specials? 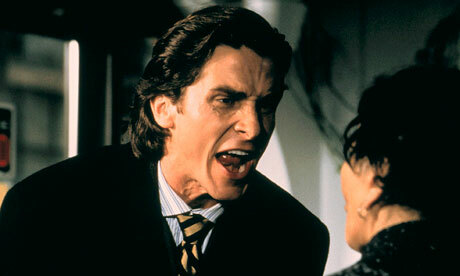 Patrick Bateman: Not if you want to keep your spleen."